ALIENS? No official investigation neither protocol for a contact. Hourcade, co-founder of C.I.O.V.I. the pioneer civilian institution for the investigation of the UFO subject in Uruguay in 1958, investigated and studied nearly two hundred cases, until the closing of the activities of the Center in 2008, when he proposed the creation of the UAPSG-GEFAI, a very selective international group of scientists and experts in the Unusual Aerial Phenomena (UAP) which has been working since then. 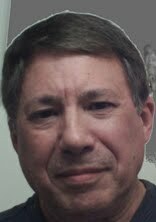 Writer of four books related to UFOs (the last one in English), Hourcade is a frequent lecturer and also has been interviewed countless times by the media, in Uruguay, Argentina, Mexico, Spain and the USA. A dedicated student of the UAP, a voracious reader, he regularly shares news in the fields of Physics, Aeronautics, Astronautics and Meteorology, as well as his ideas and intuitions. This article is the result of reading the book “UFOs – myths, conspiracies, and realities” by Colonel John B. Alexander, Ph.D., Thomas Dunne Books, New York, 2012, 323 pages; and recent declarations made by the Senior Astronomer for SETI, Seth Shostak, as reported by Tom Metcalfe, Live Science Contributor on November 16, 2016. It is important to note that all the interviews made by Col. Alexander were done in the decade of 1990, when the UFO subject still could attract the attention of some people working in important positions within US federal agencies. If the same inquiry were done today, probably less US federal agencies would be considered as possibly dealing with the UFO subject. The findings made by Col. Alexander are of his own responsibility and I couldn’t find any corroboration from another source. Who is Col. John B. ALEXANDER? Colonel John B. Alexander published in 1980 an article in the US Army’s “Military Review”, under the title “The New Mental Battlefield”. After retiring from the Army in 1988, Col. Alexander joined the Los Alamos National Laboratories and began working with Janet Morris, the Research Director of the US Global Strategy Council, chaired by Dr. Ray Cline, former Deputy Director of the CIA. From that time comes the proposal of Col. Alexander of what he calls “non lethal weapons”. In the nineties Col. Alexander and Retired Major General Albert N. Stubblebine (former Director of US Army Intelligence and Security Command) were on the board of a “remote viewing” company called PSI-TECH. If any reader is interested to know more about “remote viewing” I recommend the book “Reading the Enemy’s Mind – Inside Star Gate America’s Psychic Espionage Program” written by Paul H. Smith, published by Tom Doherty Association, New York, 2005, 592 pages; and “Remote Viewing Secrets – A Handbook” by Joseph McMoneagle, Hampton Roads Publishing Company, Inc., Charlottsville, Virginia, 2000, 296 pages. Col. Alexander has shown along his life a special interest in exotic subjects like Extra Sensorial Perception (ESP), UFOs, psychotronics (which could be related to the “abduction” phenomenon), anti-gravity devices, near-death experiments, psychology warfare (PSYOPS – psychological operations) and non-lethal weaponry. 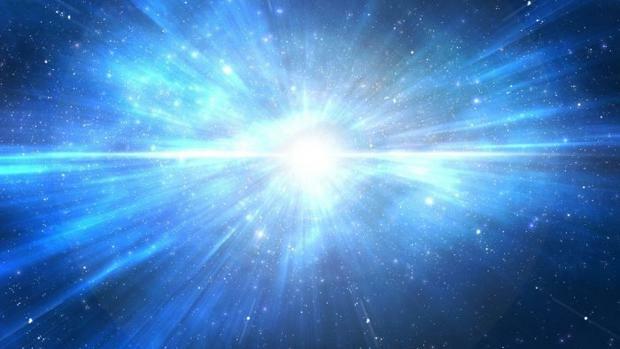 A friend with Dr. Jacques F. Vallée, Col. Alexander reports that he created the Advanced Theoretical Physics Project (ATP) which –to my knowledge has nothing to do with Physics, in spite of its name. The ATP occupied the spacious office of Col. Alexander in Tysons Corner, Virginia, quite near from where I lived many years, but I never knew where that office was. To the readers not familiarized with these abbreviations, TS-SCI refers to a clearance of Top Secret-Sensitive Compartmented Information, and SI-TK means Special Intelligence -Talent Keyhole. Therefore those who belonged to the ATP were extremely selected people. Once again, on page 16 of his book, Col. Alexander says about the purpose of the ATP: “The initial desired outcome would be to determine who knew what about UFOs”. It is also interesting to know the conditions in which the group met. They used a Sensitive Compartmented Information Facility (SCIF) which is described as: “rooms that are built to detailed specifications to prevent anyone from eavesdropping via electronic surveillance techniques. There are no external portals and the entire facility is enmeshed in wires that prevent intrusion.” (page 16). After a while, Col. Alexander –who was well related with the high echelons of the military— reports that he started a round of visits and talks with the heads of the most important official organizations mainly dealing with intelligence at different levels. “The ultimate answer appears to be that nobody does have that responsibility. While this notion runs counter to all of the conspiracy theorist’s proclamations, that was the bottom line.” (page 17). He interviewed Ben Rich, an aerospace engineer and president of the Lockheed-Martin company Skunk-Works, in Area 51. Also Dr. Edward Teller, the father of the hydrogen bomb; Burt Rutan, aerospace engineer, creator of many flying machines, the latest ones the SpaceShip-I and Space-Ship II that will take tourists to near de Space. But Col. Alexander also had meetings with authorities at NORAD, the Defense Intelligence Agency (DIA), the Central Intelligence Agency (CIA), the National Security Agency (NSA), the Strategic Defense Initiative (SDI), the Army Science Board (ASB), and even Russian astronomer Dr.Félix Zigel. At the end of every chapter of his book, Col. Alexander includes a Summary. What I learned in my personal, face-to-face meetings runs counter to the wild tales that abound in conspiracy theory literature. However, unlike those conspiracy theory proponents, I am the only personal who has discussed this sensitive topic with each of those listed, and many, many others like them. Worth noting is that even at the most senior levels, some officials shared the conventional mythology of the general population regarding UFOs. Despite their high-level positions, they all seemed to think that someone else was responsible for the topic.” (page 39). Therefore, it is clear that none of all these government agencies is dealing with the UFO subject. After the BlueBook was closed in 1969 following the University of Colorado “Scientific Study of Unidentified Flying Objects” (also known as the Condon Report, after Dr. Edward U. Condon who was the Director of the study), no one else has been responsible to investigate or study this subject. “The story behind what happened related to UFOs while President Carter was in the White House is more interesting than his sighting. According to the official records, his executive office asked NASA to get involved. Uncharacteristically for any agency of the Executive Branch, they did not accept the request. That is nearly unheard of, but points to critical problems when pre-established scientific boundaries are questioned. Obviously NASA pointed to the Condon Report for justification.” (page 102). If the lack of a specific program about UFOs developed by an agency is something surprising and discouraging for some people, it is worst to know that the USA has no protocol indicating what to do if some day aliens make contact with us. 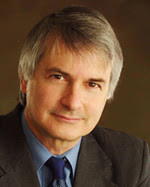 As almost everybody knows, Seth Shostak is an American astronomer, currently Senior Astronomer for the SETI Institute. This is the private organization that deals with the Search for Extra Terrestrial Intelligence, through the use of radio-telescopes and some other instruments and technologies. Recently, Shostak made very important declarations related to the lack of a real protocol to eventually deal with another intelligence that could make contact with us. First drawn in the 1980s, this set of protocols acted as guidelines for Soviet and American astronomers looking for alien transmissions in signals received with radio telescopes. "They say, 'If you pick up a signal, check it out...tel everybody...and don't broadcast any replies without international consultation', whatever that means"
In other words, science has empty hands related to the UFO subject, and empty hands if there were a contact made by another civilization: what to do?, what could be our response?, or there should be no response whatsoever? And the main question that is behind this blind approach to issues that really matter is: when someone, somewhere, is going to take the initiative to change this situation? This policy of empty hands and empty responsibility is very similar with criminal situations where the answers and measures to put in place, are taken after something terrible has happened and not before, revealing a lack of care and precaution. 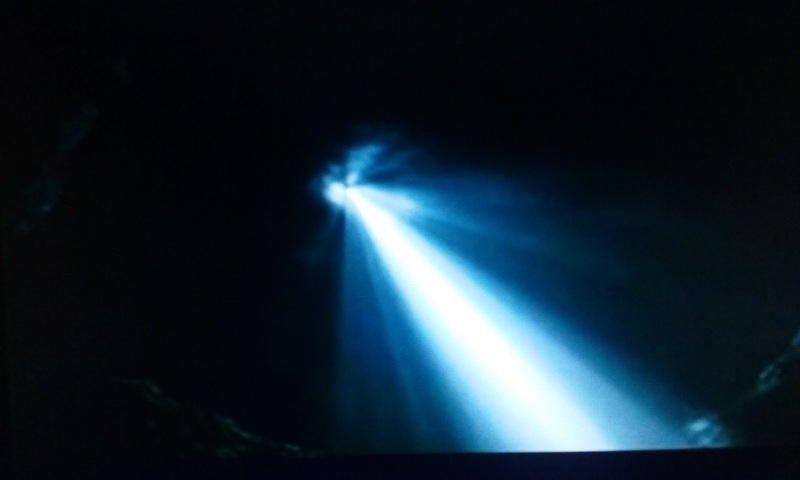 So far we know there is no agency or organization of the US government dealing with the Unusual Aerial Phenomena –as many investigators and students prefer to call them— to specifically avoid the mythical equation UFO = ET ship. There is no an elaborated protocol of any kind considering the possible contact made with us by other intelligence. 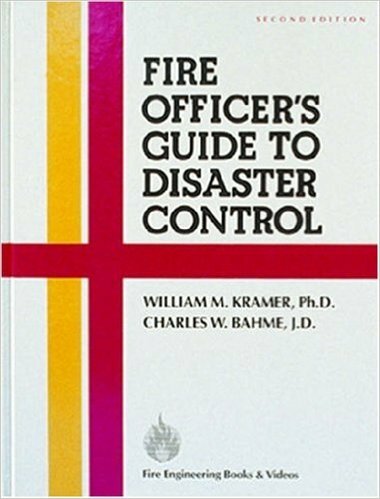 But, since 1992 there has been a “Fire officer’s Guide to Disaster Control”. 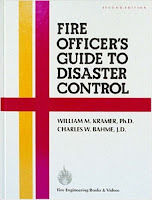 The authors of this Guide are William M. Kramer, Ph.D., and Charles W. Bahme, J.D. The authors considered that as first responders, firefighters have to be aware of the dangers that could follow the landing or fall of a ship coming from space, belonging to an unknown civilization. In other words, here the firefighters could eventually face an area of disaster where quick measures have to be taken. Given that situation, the first thing the authors take into account is the Extra Terrestrial Exposure Law (14 C.F.R- 1211 of the Code of Federal Regulations. That has been the popular name for regulations adopted by the National Aeronautics and Space Administration (NASA) in 1969 to formalize its "policy, responsibility and authority to guard the Earth against any harmful contamination ... resulting from personnel, spacecraft and other property returning to the Earth after landing on or coming within the atmospheric envlope of a celestial body" " Implemented before the Apollo 11 mission, it provided the legal authority for a quarantine period for the returning astronauts. “In view of the fact that many UFOlogists believe that we are fast approaching a time when overt landings of UFOs will become less remarkable, and in the absence of our knowing whether their visits are friendly or hostile, it would not be remiss to give some thought to the part that fire departments might play in the event of the unexpected arrival of UFOs in their communities. For example, what would be your course of action as an incident commander at the scene of a school ground where a UFO has crashed into the boiler room, rupturing a fuel line, and ignition has occurred in the spilling oil, endangering the occupants of the craft who are trapped in the wreckage? If your rescue attempts are successful, and two of the five small alien creatures are injured but still alive, how do you dispose of the dead and treat the survivors? How would the presence of children on the school grounds affect your actions? What persons and agencies would be notified? "Near approaches of UFOs can be harmful to human beings. Do not stand under a UFO that is hovering at low altitude. Do not touch or attempt to touch a UFO that has landed. In either case the safe thing to do is to get away from there very quickly and let the military take over. There is a possibility of radiation danger and there are known cases where persons have been burned by rays emanating from UFOs. Don't take chances With UFOs!" In view of the federal law (cited earlier) empowering NASA's administrator to impound, without a hearing, anyone who touches a UFO or its occupants, it would be inadvisable to make personal contact unless you are willing to submit to NASA's quarantine requirements, should the law be invoked. Besides the possible physical effects of approaching a UFO, e.g. burns, radiation, etc., there may be psychological effects produced by force fields that could induce a hypnotic state in the viewer, loss of consciousness, memory relapse, and submission to the occupants. Jacques Vallee, author of "The Invisible College" cautions that we should consider psychic effects, such as space-time distortions experienced by percipients of craft-like devices which appear to fade away--dematerialize--and then reappear; of alien, strange voices or thoughts that may affect involuntary changes in the manner in which witnesses may react in such circumstances.(72)”. As we can see, once again, the authors are confronted with a lack of “any advice on this matter” as they say. Therefore they tried to give some general orientations to the fire fighters officers to avoid unnecessary dangers and minimize the consequences of such a landing. But at least they mention a law that continues to be valid, and give some cautions to be applied. A very precise manual should also be written to deal specifically with these possible situations, and personally I think that it must be elaborated by scientists in conjunction with the military. Our good friend and dear colleague Vicente-Juan Ballester Olmos, shared with us his latest FOTOCAT report. We encourage you to read it. It is an extense report and therefore here is the link. We thank VJBO for his new contribution. May the Peace of Christmas Eve flood our hearts, and that we can celebrate Christmas with genuine joy. In the same way, let us receive the New Year with the firm will to make it better that the one that is gone.